According to a study out of Norway, women who choose sugary drinks during pregnancy may be setting themselves up for increased risk of premature delivery. The study included at least 60,000 women. Women who reported consuming at least one sugar-based drink per day were up to 25% more likely to go into labor early compared to women who chose not to consume sugary drinks. Though there appears to be a connection, researchers noted there was some skepticism about whether or not the drinks were actually to blame. The main problem with the study is simple and quite evident. Of the 60,000 women included in the decade-long study, more than 5,000 gave birth to infants prematurely. 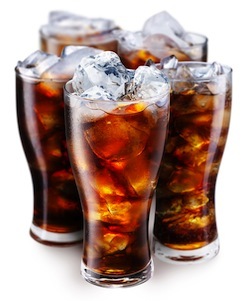 According to reports from the women on types of drinks they consumed, the risk of premature birth increased by about 25% with one sugared drink a day in comparison to women who did not consume sugared drinks. However, there is no mention of sugar consumption from food sources. If sugar is the issue, researchers need to investigate the impact of sugar in all forms, not just soda. The study did show that women who chose sugared drinks also tended to weigh more and consume more calories than their study counterparts. Proving that sugar consumption may not be the cause, but rather a symptom of another cause rooted in lifestyle, habits and total dietary intake. Source: Linda Englund-Ogge, Anne Lise Brantsaeter, Margareta Haugen, Verena Sengpiel, Ali Khatibi, Ronny Myhre, Solveig Myking, Helle Margrete Meltzer, Marian Kacerovsky, Roy M Nilsen, Bo Jacobsson. American Journal of Clinical Nutrition. August 1, 2012.